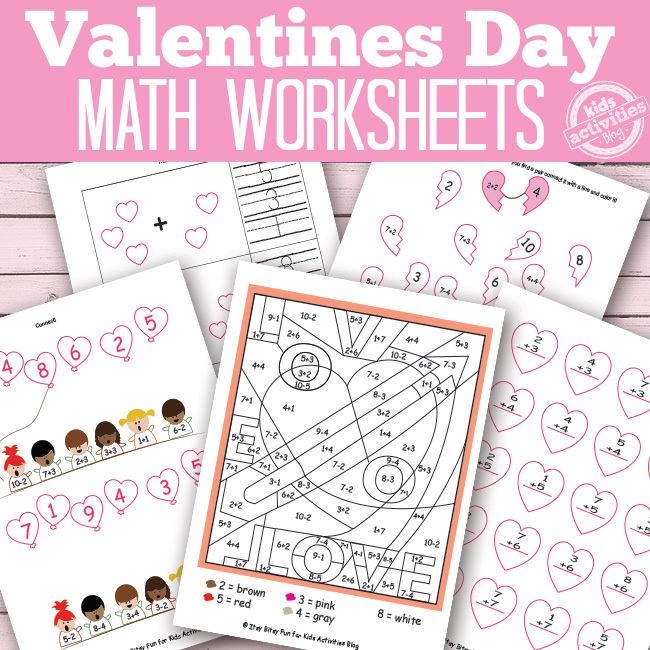 Let’s do some simple addition and subtraction with these sweet Valentines Day Math Worksheets! Math worksheets should never be dull so I just know your kids are going to enjoy these! Having a date on Valentine’s day is always fun so why not have a date with math? I mean you can always count on math! And I promise it will be a fun date! 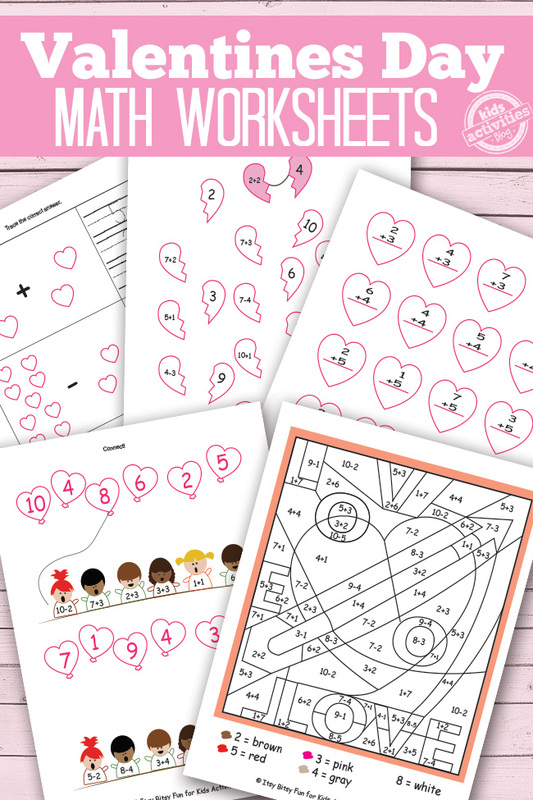 But let’s get serious for a second there – I really think your kids will enjoy these addition and subtraction worksheets. 1 color by numbers page. 1 page where kids have to connect the kids with the heart balloons. 1 page with addition equations in hearts. 1 page where kids have to fix the broken hearts by solving math problems. 1 page with super simple heart addition. Be sure to also grab these gorgeous Valentine’s day coloring pages for your kids or this printable Valentine’s Day snakes and ladders game for them to have some fun with. Also check these math games – they sure are fun! Previous Post: « I had no idea you could do THIS with an American Girl doll!